If this first love is true love, why can't Hildy hang out with her friends without feeling guilty? 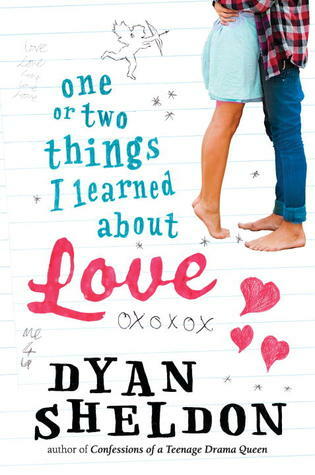 Dyan Sheldon takes on the possessive side of summer romance with humor and insight. Hildy has only had two-and-a-half dates in her whole life, and she isn't counting the half. It's starting to look as if she's never going to have a third date, or be kissed, or know a boy who is more than just a friend. Then, on an ordinary day, she meets Connor of the meltthat-ice-cap smile -- and a summer that was going to be ordinary as toast turns into Hildy's summer of love. But love for Hildy is a little more complicated than the songs and movies have led her to believe. It's not so much girl-meets-boy-and loses-her-heart as boy-meets-girland-loses-his-mind. Part cautionary tale and part romantic comedy, Dyan Sheldon's wry, diary-style novel weighs in on all ends of the relationship scale in a story of first love. Author Question: What is your favorite thing about One or Two Things I Learned About Love? That's quite a question, not that I noticed how tricky it is until I actually sat down to answer it. At first I thought: This is too hard. There's no way I can pick one thing that I like best about this novel. Novels are like cats and people, it's not a single thing that you like, it's everything together. However, I did think that if I were asked that same question about a book I'd read and not a book I'd actually written it would be a lot easier. So I started thinking about some of my most-loved books. The CURIOUS INCIDENT OF The DOG IN THE NIGHT; The WOMAN IN WHITE; CATCH-22; I CAPTURE THE CASTLE; PATCHWORK PLANET; STARTED EARLY, TOOK MY DOG; The LONG GOODBYE etc. And then I started thinking about TV shows and films that I can watch over and over again. And I finally realized exactly what it is that I like about them: the characters. I am not a plot person, not as a writer and not as a reader. If a book (or film or TV show) is about nothing principally plot-centric, I don't last more than twenty minutes. A plot is a plot. You can have a dozen books (or more) with the same plot, and what will separate the one you never forget from the one you never remember are the characters. They're what makes a story come to life. And it's no different with my own book. The dinosaur joke in ONE OR TWO THINGS I LEARNED ABOUT LOVE always makes me smile, but at the end of the day my favorite thing is the characters. Not just Hildy, whose story this is, but all the peripheral characters -- her parents and sisters and grandmother; her friends (I especially love Ely and Louie) and the customers who come to the vegetable stand; even poor Connor (who is not evil, just severely misguided with problems of his own). Hildy would be very lonely without them, and so would the novel. Dell is used to disappointment. Ever since her dad left, it's been one let down after another. But no one--not even her best friend--understands all the pain she's going through. So Dell hides behind self-deprecating jokes and forced smiles. 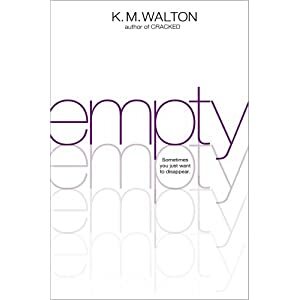 My favorite thing about EMPTY is my main character. Dell was such a inwardly complicated character to write, so privately vulnerable. Being her creator, I felt all of Dell's feelings as I wrote her. Countless times I wanted to jump into my computer, "Mary Poppins style" and embrace Dell with the love I had for her. I hope readers will want to do the same. When Leni's family hit the lottery, life got . . . well, strange. Leni's parents built a mansion fit for royalty; they enrolled their daughter in the fanciest, most expensive private school in Florida; and they even bought Leni a dolphin for her 12th birthday (she made them take it back). But all of that extravagant living has caught up with them and the lottery money is about to run out--except for the large trust fund Leni will inherit on her 18th birthday, now only a week away. Leni is prepared to give her parents the money until her sister, Natasha, confesses a shocking secret--one that threatens to destroy their entire family. Leni has been ordered to fix it, but how? Author Question: What is your favorite thing about Spoils? I like to set my books in places where I've lived to help make the setting realistic. I've moved around a lot (9 times in 14 years) which gives me lots of choices. But since it takes me 2-3 years to write a book, I'm not usually still living in the city/state/country the book is set in by the time I write it. 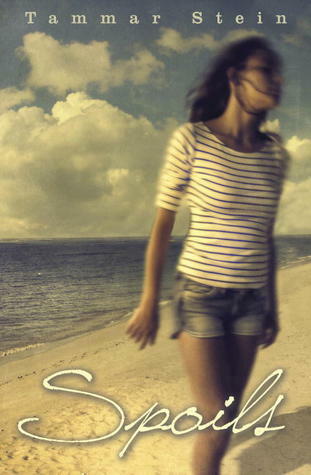 SPOILS was the first book that I wrote set in the place I was currently living. And Florida is such a lush place to set a book! Palm trees, live oaks draped with Spanish moss, alligators, snakes, oblivious snow birds, alternative hippies, they shape the setting and I loved putting in those hot, muggy details. My other favorite thing about SPOILS is that it really thinks about what money means. I think all of us have this knee-jerk thought that more money equals a better life. We don't really examine that thought, we just drive ahead, working hard, looking for opportunities, and any time we run into problems, we just wish we could win the lottery and never have to worry about any of it again. I don't think the answer to life's problems is that easy. Leni's family won the lottery and everything went downhill from there. I hope you enjoy SPOILS and please write me and tell me if it changed how you think about winning the lottery! Then, against all odds, Lilac and Tarver find a strange blessing in the tragedy that has thrown them into each other's arms. Without the hope of a future together in their own world, they begin to wonder--would they be better off staying here forever? Sounds like a great read! So does the "These Broken Stars"! This sounds like good choice and a fun read. I like that all of the characters are well-written and important. Thanks very much. One or Two Things I Learned About Love sounds terrific. Thanks for the chance to win. This one sounds great. Thanks for the chance to win. I really enjoyed These Broken Stars. 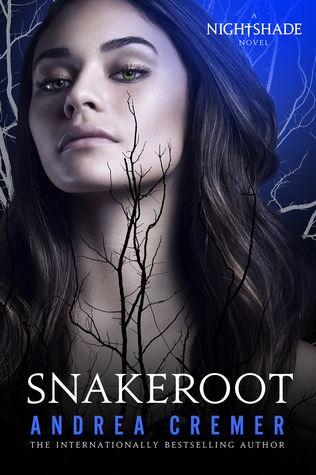 I cannot wait to read Snakeroot!! All the books sound wonderful. Thanks for the giveaway. These Broken Stars, I've been waiting for a whole. But Spoils sounds really amazing and different. Looking forward to that one as well. 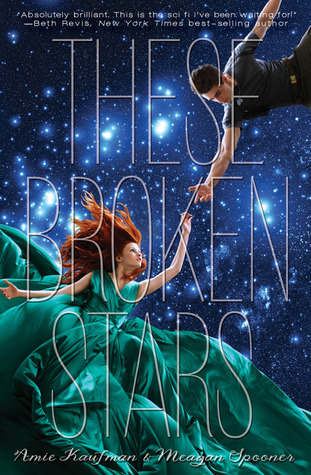 I heard amazing things about These Broken Stars and the cover is so pretty. I'll definitely check it out. Thanks for the giveaway.